Where to Play The Dark Knight for Real Money? 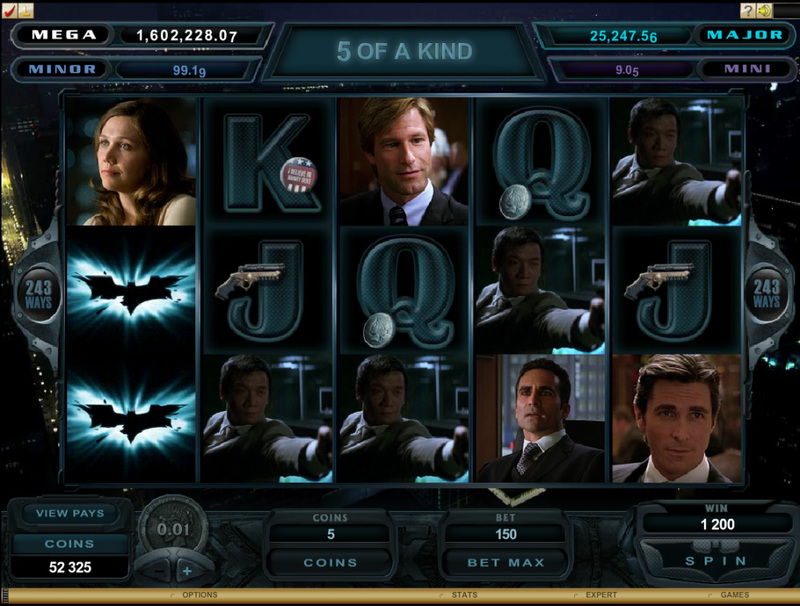 The Dark Knight Rises is one of Microgaming’s latest non-progressive slot machines with 5-reel and 243 paylines. 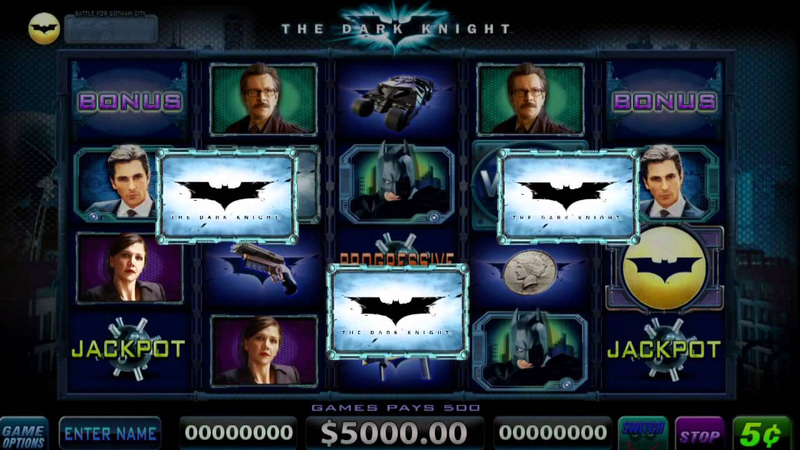 As the name suggests, this slot machine is openly inspired to Batman’s world famous "The Knight Rises" movie starring Christian Bale and Anne Hathaway. If you are looking for a slot that is at the same time fun to play and can give you plenty of opportunities to score premium wins, look no further. 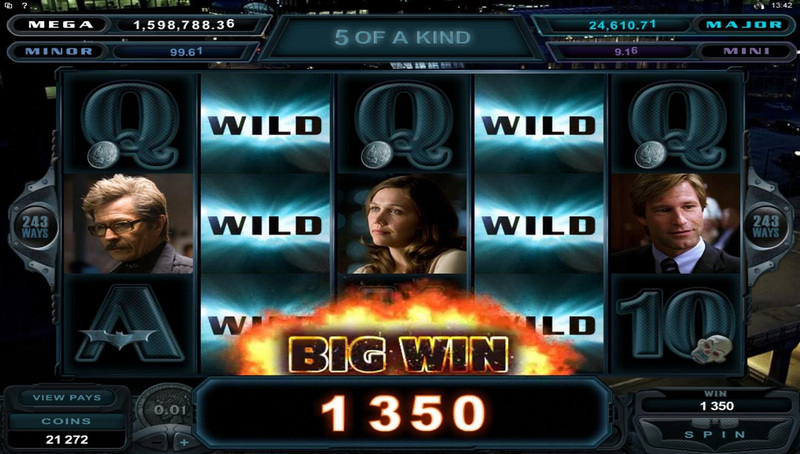 With 5-reel and 243 different ways to win, The Dark Knight Rises is indeed the game for you. 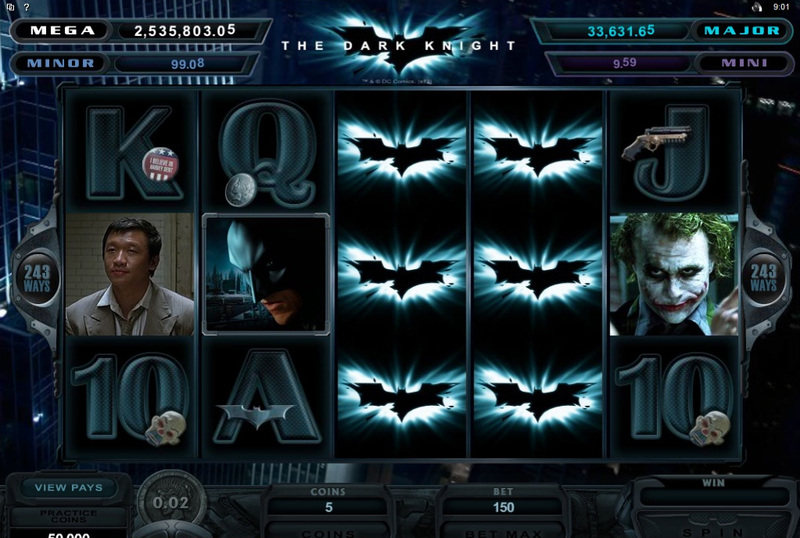 The Dark Knight is a wonderful online slots with 4 different progressive jackpots that offer players from all over the world a great chance to hit a life changing score every time some of the special symbols featured in it appear on the screen. Two of the four jackpot available are fairly small though. Which means that even if they won’t give out mind-blowing wins, they are quite easy to score and are often reset. The other two jackpots available, on the contrary, are won way less frequently and tend to reward players with amounts that are not easy to forget. One of The Dark Knight Rises’ most notable features is the Cinematic Spins function. Once this is enabled, the reels disappear from the screen for a moment to give way to scenes from the movie giving a sample of the absolutely impressive graphics this game comes with. As you can see from the pictures above, al the symbols included in the game are Batman-themed ones and include several characters from the movie. The logo of The Dark Knight with the bat is used as a wild symbol. The symbol appears stacked on the reels, increasing your chances of getting one out of the many winning combinations as it can be substitute to any of the other icons – except the scatter one. A free spins round is triggered when three or more scatter symbols appear on the screen. Free spins rounds are what make this game particularly lucrative with thanks to the possibility of multiplying wins starting from 2x. If you are a progressive jackpot lover, you should also know that The Dark Knight is connected to the network of the four-level progressive jackpot Mega Moolah, giving you access to absolutely life-changing winnings. The great thing about this game is the added features that make it more exciting and rewarding. There is a wild symbol in the regular game, along with scatter payouts. The wild symbol is stacked, so there are multiple ways to create some spectacular winning combinations. The bonus features in The Dark Knight are very impressive. When triggered, players can receive 15 free spins on the game with various multipliers. The free spin round can be activated by getting three or more scatter symbols on the reels. If the Joker appears during a free spin, players will win additional free spins or have the chance to increase the current multiplier. The Dark Knight features two of the most memorable characters from the big screen, Joker and Batman. With these great characters and an attractive game theme, The Dark Knight has everything it takes to be a world class video slot. Attracting thousands of players from around the globe, this game provides the chance to win great progressive jackpots as well as incredible payouts from the regular game.